The fiery red nightdress can pride itself on the wonderful heart-shaped two-colour embroidery in the chest area. It is of a simple design and the neck cut ends in a narrow border. This pyjama set is a great choice for all ladies looking for comfort, but at the same time a touch of femininity and elegance. 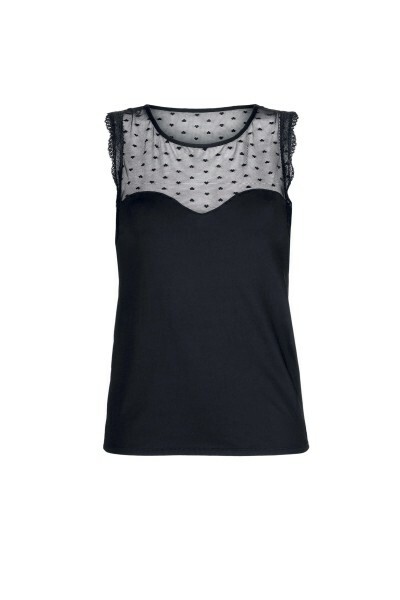 It is made from soft and gently draping cotton with elastane, which accentuates feminine curves. It is has a knee-length cut, revealing the lower part of your seductive legs as well.